Brno Sports Weekly Report — Can Anyone Stop Brno Draci? Pitching and defense win champions. That is a hallmark of Brno Draci baseball. 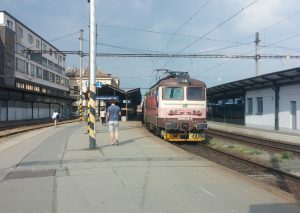 Photo credit: Draci Brno. 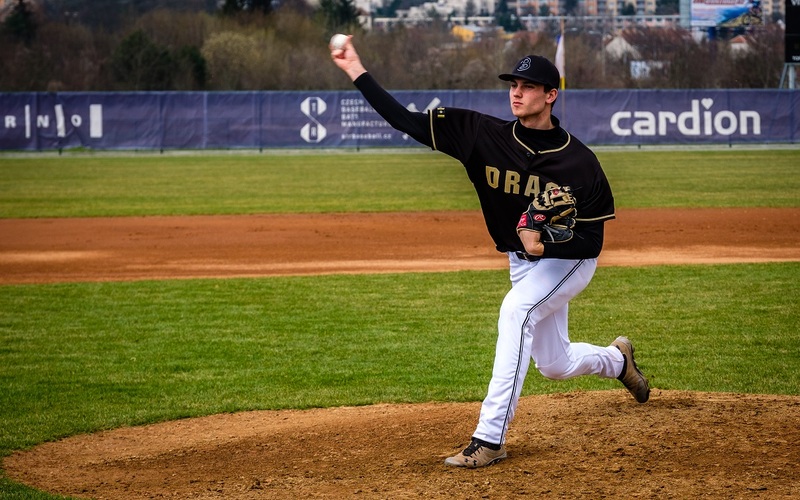 Brno, July 25 (BD) — Draci beat Hroši for Czech Baseball Cup and more league wins, Zbrojovka stumbles out of the gate, and the Brno sports schedule. The fact of the matter is that Brno Draci are the best team in Czech baseball and they have been for, literally, decades. Some year the dynasty will end. This year does not appear to be the one. Draci Brno flexed its muscles last week when it outlasted Cardion Hroši Brno to win the rainy Czech Baseball Cup, 4-5, in 10 innings on Thursday. It was the 17th time they have won the Czech Cup. Then, when Czech extraliga play resumed on Friday, the Draci reeled off three more wins over the Hroši, with increasing margins of victory in each game. The league season continues into September and, given that Draci Brno finished the first part of the regular season with only one loss, it is looking more and more unlikely that the team will be knocked out of the top spot, at least until, possibly, the postseason. Kotlářka Praha, which was swept in three games by Arrows Ostrava last week, will be next to challenge the Draci on Friday at MBS at 7 p.m. Then Tempo Titans Praha come for a shot on Saturday at 2 p.m. The Hroši hit the road until they host Tempo Titans Praha on Sunday at 1 p.m. The scores of the Draci victories over the Hroši last week, with the home team listed first as is normal in the Czech Republic, were 7-3 on Friday, 5-12 on Saturday and 1-16 on Sunday. In the end, the Draci outscored the Hroši, 35-9. Technika, which was dropped into the playout bracket prior to this league-play restart, swept a doubleheader against SaBaT Praha, 8-3, and 1-4, on Saturday to take a significant forward in their fight to stay in the extraliga next season. The top six teams from the first part of the regular season play against each other for postseason seeding purposes; the bottom four teams play the top teams of the lower league for the right to stay in the extraliga. Fans were enthusiastic at the beginning of the game on Sunday evening as they hoped to watch FC Zbrojovka Brno begin their journey back to the top league of Czech football. Unfortunately, after 20 minutes the boos began when the first goal was given up and, just before the halftime whistle when the second goal was allowed, the angry whistling started. Zbrojovka would go on to lose to visitng FC Vysočina Jihlava, 1-3, in the first week of play in the Fortuna: Národní Liga. “Our first match, unfortunately, did not work out,” Brno head coach Roman Pivarník said. Zbrojovka will go on the road this Sunday to play Vlašim at 5 p.m. The team returns to Brno for a night game on Sunday, Aug. 5, against Chrudim. Game time is 8 p.m.
Zbrojovka’s one highlight against Jihlava was a beautiful pass from second-half substitute Martin Zikl from the left wing that new striker Lukáš Magera, who is just shy of tall meters tall, headed perfectly into the goal. Both Zbrojovka and Jihlava were relegated from the top league after the last season. They will play each other again in the final week of this second-league season. — Baseball: Draci X Tempo, 2 p.m.
— Baseball, Game 1: Blesk X Technika, 1 p.m.
— Baseball, Game 2: Technika X Blesk, 4 p.m.
— Baseball: Hroši X Tempo, 1 p.m.
— Baseball: Arrows X Draci, 2 p.m.
— Men’s Football: Vlasim X Zbrojovka , 5 p.m.